One side-effect of reading comics for a long time is learning to recognize the distinctive styles of the people who created them. Some people are good at identifying artists and inkers, others (such as Martin O'Hearn) have learned to identify the specific tics and phrases of certain writers' dialogue, and there are those who can accurately determine who lettered a specific comics story. Thanks to the efforts over the past decades of fans, historians, critics, and indexers it is now possible to google with a fair degree of accuracy the creative teams for a large part of the old comics one happens to find either as back issues, digital scans, or in reprint books. 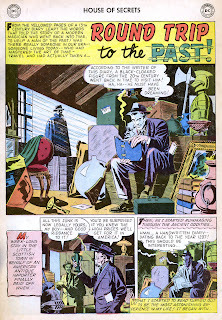 The enjoyment of reading a comic can be heightened by knowing more about who created it, at what stage during his/her career it was created, at what time period, for which publisher/shop/packager, etc. 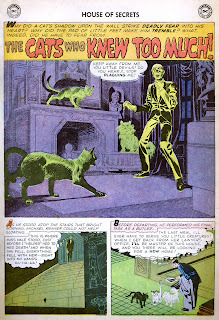 A run of the mill romance comic is more interesting if it's drawn by Alex Toth, we may be willing to read a funny animal story more closely when we know it was probably written by John Stanley, there may be hidden depths to that trashy-looking 1950's Charlton horror comic once we find out it was written by Superman's creator, Jerry Siegel, and so on. 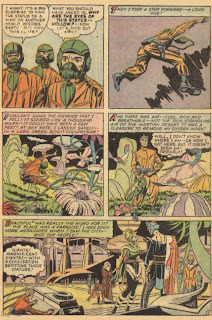 I became aware of the early (post-Fantastic Four) Marvel superhero comics thanks to the 1970's Pocket Books editions along with reprint comics such as Marvel Tales. Most of the stories in these comics were lettered by Artie Simek and Sam Rosen, and it was easy to notice and learn these names since Stan Lee made a point of crediting them and at the same time making jokes at their expense in the credits (something that as a young reader I found amusing). However, a few years ago I'd noticed that Simek's work had appeared in other comics. 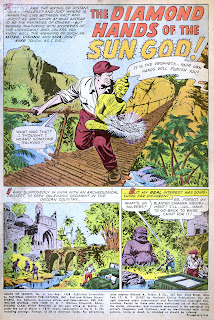 I first saw this in the Jack Kirby-drawn Challengers of the Unknown stories from Showcase #12 (cover dated February-March 1958, which means that the book appeared in late 1957). 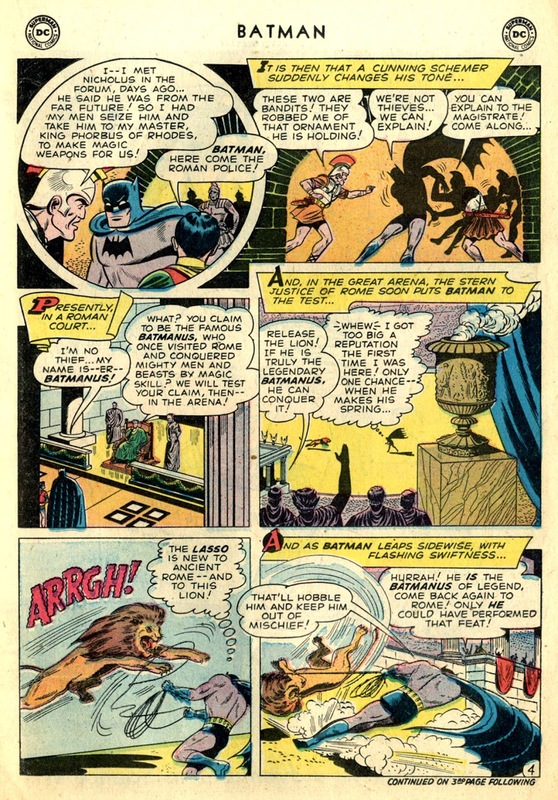 The lettering in the above page is indisputably Simek's work, noticeable from the story's title's lettering to small details such as the highlighted first letters of the captions of the second and third panels. 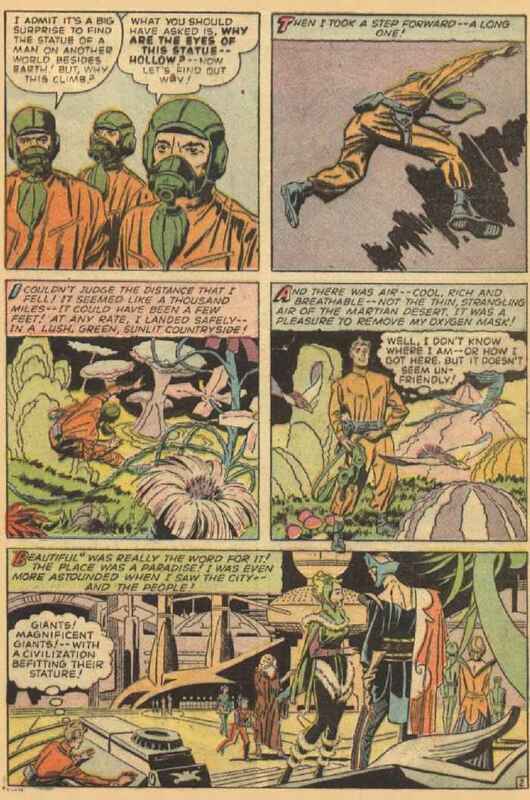 When I shared this a few years ago over at the Grand Comics Database mailing list, fellow fan Marc Miyake pointed out that he'd also found Simek's work in a non-Marvel comic, this time in a story from Race for the Moon #2, from 1958. Artie Simek lettering in another Jack Kirby story, "The Face on Mars"
Is the time period in these examples (late 1957 to 1958) significant? Most definitely. What is known as the "Atlas Implosion" took place in 1957, an event in which publisher Martin Goodman had to cancel several titles, fire staffers, and use inventory stories for a while (instead of assigning new work to freelancers). Many Atlas/Marvel freelancers and staffers had to find work elsewhere, and from what can be seen above, Artie Simek wasn't an exception. Having found the above examples, it wasn't difficult to find other DC works by Simek from that period. Some examples are documented at the Grand Comics Database, others have been found thanks to the abundance of comics scans on the web. 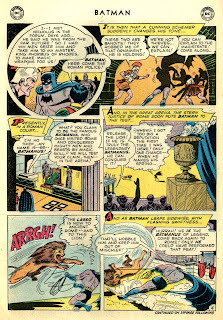 Probably the earliest example (mentioned in Simek's Wikipedia entry) is the story "Batman's Roman Holiday" from Batman #112, cover dated December 1957. House of Secrets #8, cover dated January-February 1958 has several stories lettered by Simek as well. Art by Bill Ely, lettering by Artie Simek. Art by Jack Kirby, lettering by Artie Simek. Art by George Papp, lettering by Artie Simek. 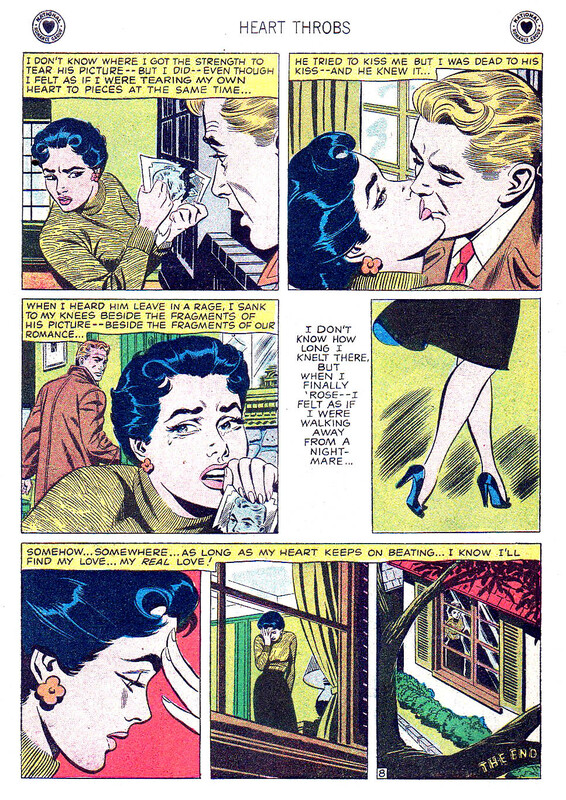 And the story "The Truth about Love" from Heart Throbs #52 (cover dated February-March 1958) seems to also have been lettered by Simek. 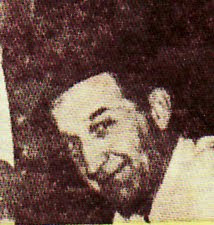 Simek would eventually return to Marvel, and would become one of their main letterers during their 1960's expansion. The effects of the Atlas Implosion were apparently felt across shores. 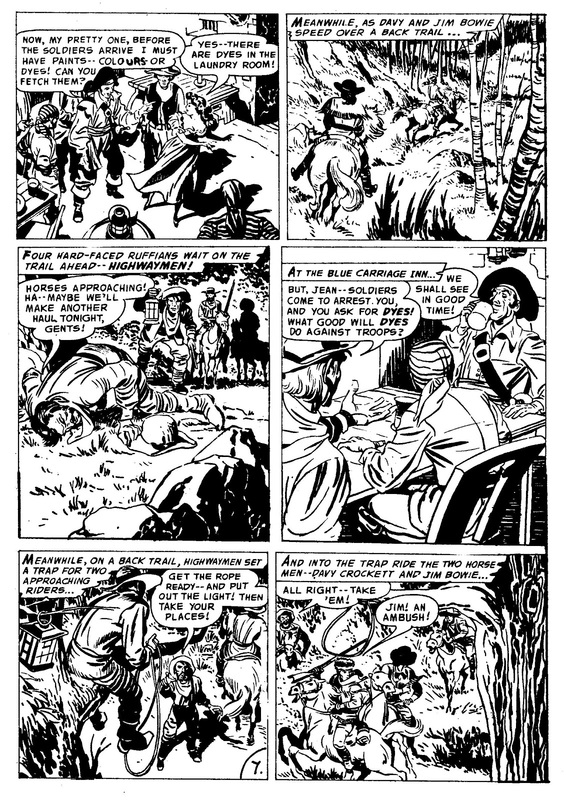 Several years ago, Matt Gore pointed out the existence of little-known work done by Jack Kirby for the British market: a series of "Davy Crockett" stories that appeared as backups in Marvelman magazine. 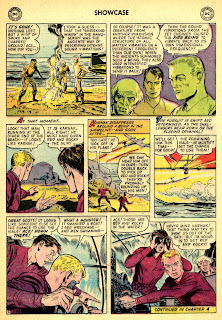 Matt has uploaded some samples from Marvelman #231, originally published in 1958. 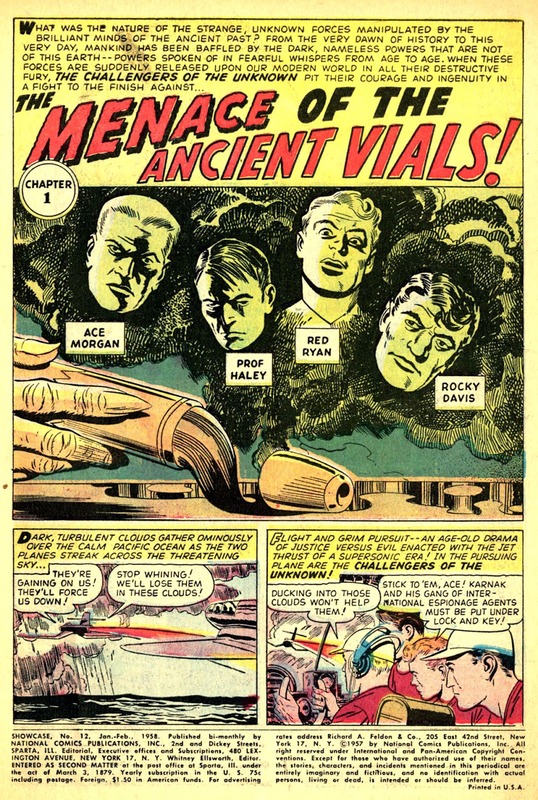 As far as can be told, the handful of stories Kirby did for Marvelman were never published in the United States. I'd seen these pages back when Matt Gore originally shared them, but seeing them again today made me notice for the first time that they were also lettered by Artie Simek. I don't know much about the origin of these stories or how they ended up appearing in a British publication. 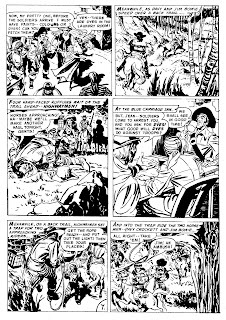 Richard Bensam pointed out to me via Twitter that Kirby had drawn stories featuring Davy Crockett and Jim Bowie between 1955 and 1956, in issues 31 to 33 of Harvey's Western Tales. 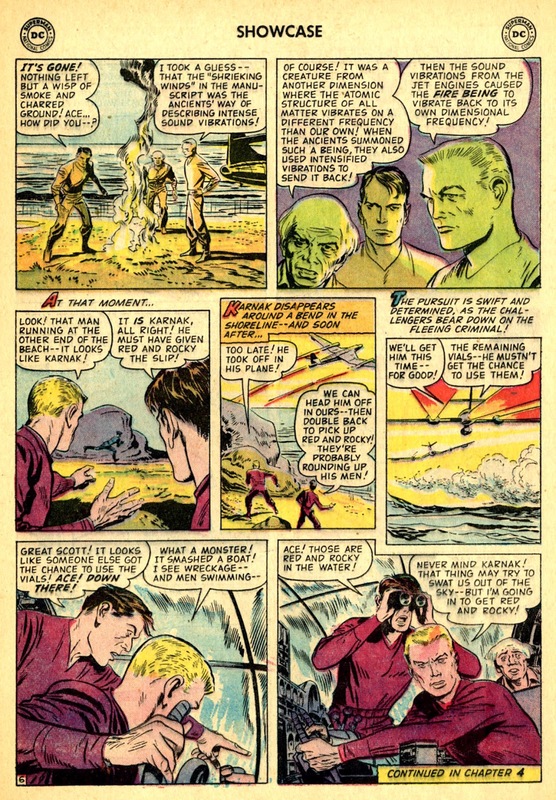 Are these stories from Marvelman part of the same series? Or could these be unused Atlas inventory stories (which would explain the Simek lettering)? I wrote at the beginning of this post about how easy it is these days to google information about old comics and their creators, but there's clearly still much more to be learned about them, even about the work of well-known figures like Jack Kirby. These Marvelman backups look like they're re-formatted newspaper format strips. Note the white areas to the top left of panels 1 and 4, which look like they could have held titles. Thanks for taking the time to write, Dave. You're right, those tell-tale white areas would seem to indicate that these are reformatted newspaper strips. I think Simek also worked on Big Boy comics. White area on top every 3 panels seems to be the pattern. Nice that you independently noticed Simek's lettering in "The Truth about Love" which I found in the Heart Throbs TPB. 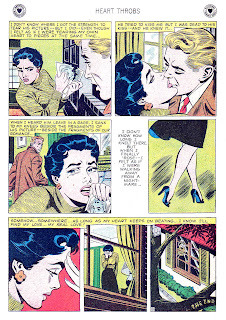 I don't own any 50s DC romance comics, so I wonder how many other romance stories from that period have his lettering. The first thing I noticed about the covers of the early Big Boy comics was Simek's lettering. Nice finds on Simek's DC lettering. I believe Simek did letter for other companies, perhaps in the mid-1940s, but can't recall where I've seen his name at the moment. I'm glad these craftsman are getting the attention they deserve. Disagree about the letters on the romance story. I could see why one would ID Simek for the job but I'm not persuaded. Also, just to clear, the DC and other work was basically just the imploded era? Speaking of 57: Wasn't a few titles cancelled but nearly all -- right down to IND/NPP/DC's imposed limit. And it wasn't exactly inventory used up, like in the late 40s when the Timely bullpen got shut down, so much as the implosion was sudden and, for the limited number of titles going forward under IND, a hell a lot of work to publish before new work was needed. Because I hate people who volunteer art credits without checking the GCD first, I checked their credits after posting my comment. 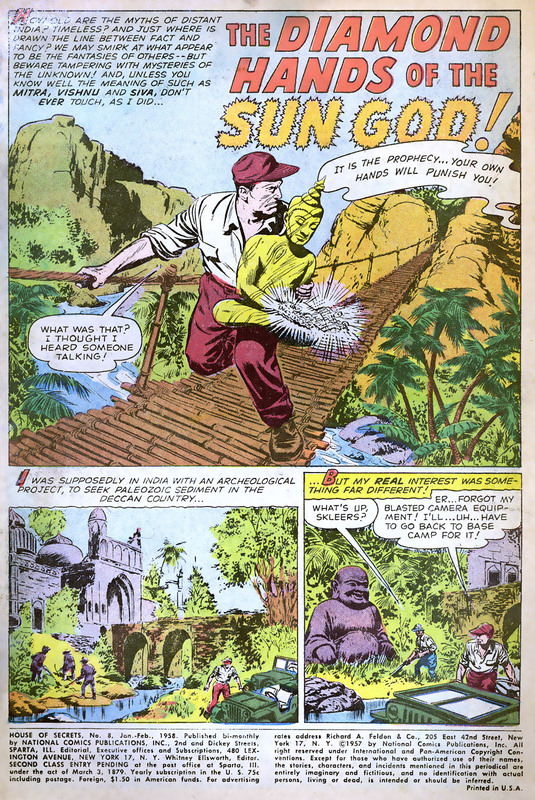 GCD was no good on the penciller but credits Bernard Sachs with the inks on the story. Please. May be some Giacoia with Giella but the faces, at least, are Giella's. And -- wrongly -- no credit for Simek. Simek's display lettering on splash pages was always magnificent, and immediately recognizable. In Atlas' heyday, that was probably about all he had time to do. 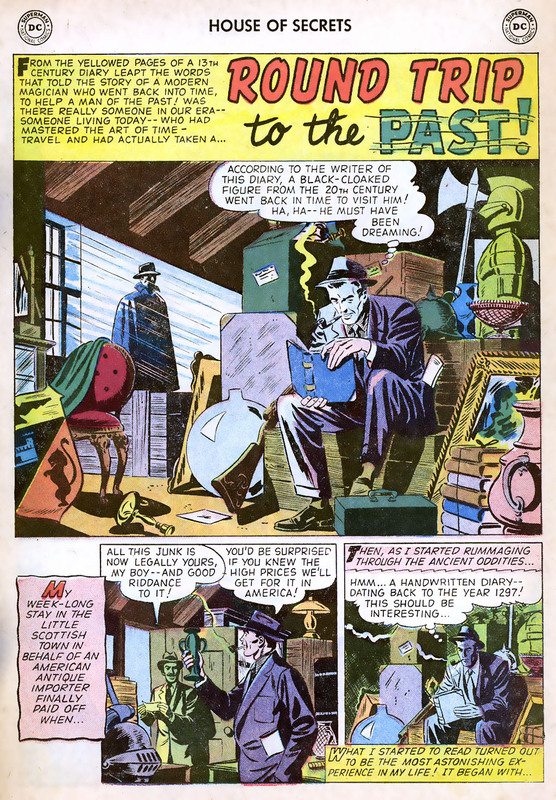 Post-implosion, he finally got to letter interior pages, a trend that continued with his Marvel years until his untimely death in 1975. One of the finest letterers of all time, and worthy of the attention he's receiving posthumously. There are so few true superstars in this overlooked area of comics. My own struggles with hand-lettering brings me back to Ferguson, Yoshida and Wantabe. I think Artie grabbed the best of all of them. Even through all the insane deadlines, he never stopped being creative and clear. Never stopped tweaking or coming up with something new. Today's digital letterers have better tools, but few match his understated, unpretentious genius. Thanks for posting this pre-62 work. You've given me even more material to study and fail to emulate!